Outstanding Sea Star Sport Fishing Reviews Since 1982! Read about Sea Star Charters, its crew, and our San Diego private sport fishing charters customer reviews & testimonials. For years now, Sea Star Charters has taken out thousands of people for San Diego private sport fishing charters. Many of our customers have written us describing what wonderful trips they have had with us. We have compiled just a few of our Sea Star sport fishing reviews for your reading pleasure. If you would like to submit your Sea Star Sport Fishing Review or Testimonial simply email us today. We offer private group charters for sport fishing, whale watching and floating marine science labs. We also offer burials at sea. For more information on Sea Star sport fishing charters, please give us a call on our reservation line at 760-966-0111! Thanks for visiting and best fishes! Here are some of our customers letters for your reading pleasure. I would highly recommend chartering the Sea Star if you are looking to go deep sea fishing out of Southern California. We live in Arizona but try to make it to the San Diego every chance we get – one big reason is we can’t wait to go deep sea fishing! A couple of years ago we contacted Captain Joe and arranged our very first charter to go deep sea fishing. Ever since that trip – we are “addicted” to our family fishing trips and go several times a year. Somehow Captain Joe knows exactly where to go to find the fish. We catch way more than we could ever use and we love bringing back some extra for our neighbors. It would not be uncommon to catch over 100 fish per trip. Really – NOT a fish story! The Sea Star and Magdalena Ecke Family YMCA have been co-hosting the YMCA fishing camp program for the past 18 years. We are very proud and happy to continue supporting such a popular and healthy outdoor youth program. We are pleased to donate to this year’s Annual Campaign with an in-kind donation of $6,580. This represents the total discount on all trip costs and services provided by Sea Star Sportfishing for the four fishing camp trips onboard the Sea Star in 2014. Susan Hight, Executive Director of the Magdalena Ecke Family YMCA and Sheila Wirick, Capital Development Chair wrote Captain Joe a thank you letter – click on the letter found to the left. Our charters on the Sea Star have become a tradition with our family and friends. I don’t believe a cleaner boat exists on our coast and the crew is great. Where else can you find rail service from the galley? Looking forward to our next trip. Hi Captain Joe and crew! I had one of the best experiences of my life so far, and (yes, lol, believe it or not, I’m 45). :) I was a little nervous at first, being my first time out on the ocean, but you and your crew made me very comfortable. I love the ocean and I love fishing out there. I’m sore, but it’s a great sore. You and your team were very supportive, VERY KNOWLEDGEABLE and fun! 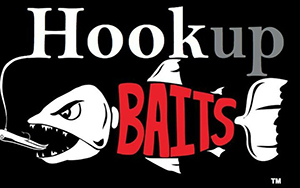 This may sound geeky, but “I’m hooked”!!!!!!! I have to reel in that big one, even if it is the Black Sea Bass and I have to throw him back, lol. I’m looking forward to my fish fry, tomorrow! Thanks, again, Captain Joe, James, Steve and Dutch! I’ll be back very soon! I wanted to take this opportunity to tell you how much our company enjoyed the four fishing trips we scheduled on the Sea Star last year. As you know, we took 20 or 30 customers on each trip and you and your crew did a great job helping us with any of our needs. We are always looking for good promotions for our customers and we’ve found the best one is to take them fishing on the Sea Star. I’ll be contacting you real soon to arrange future charter dates. I always book the Sea Star for my charter trips because Joe and his crew understand the meaning of “customer satisfaction.” The boat is exceptionally well maintained with great food, but most importantly, the crew is knowledgeable, friendly, and helpful. I really appreciate the time and patience they provide for the novice fishermen. Best of all, you catch fish aboard the Sea Star because Captain Joe knows where they are and how to get them! I wanted to express my sincere gratitude for the excellent service provided by you and the crew of the Sea Star throughout the years. You run an absolutely top notch operation and the Sea Star is an outstanding vessel for both private sport fishing charters and ocean memorial services. After nearly 50 years of salt water fishing off Southern California, I can truly say there is no finer charter boat operation available in terms of professional treatment, work ethic and personal attention to giving your customers a fantastic experience on the water. Thank you again for all the great Sea Star memories and I look forward to fishing with you and your fine crew soon! See the August 22, 2009 “Anglers in the Son” Calvary Chapel sport fishing gallery here. We have a lot of great reviews and if you want to submit one directly to us or online at Yelp please feel free as others find this information useful in choosing the right sport fishing charter boat and crew.